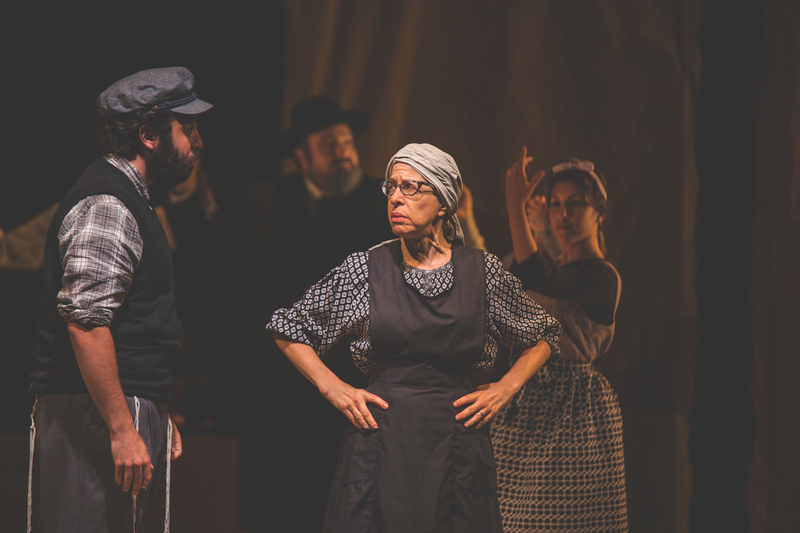 This Yente Found The Perfect Match, Performing 'Fiddler On The Roof' In Yiddish Jackie Hoffman grew up speaking what her mother called "kitchen Yiddish" — a few words here and there. Now, she's dusting off the mama-loshen (mother tongue) for a production of the 1964 musical. Jackie Hoffman (right) plays Yente the matchmaker in the Yiddish adaptation of Fiddler. Hoffman grew up hearing her mother and grandmother speak Yiddish and for years has been teaching little phrases to fellow cast members. "I've got gentiles speaking Yiddish all over this town now," she says. Fiddler tells the story of Tevye, a Jewish dairyman, who is desperately trying to find good husbands for his five daughters. It takes place in 1905 in a fictional town in czarist Russia. There have been many productions of Fiddler since its Broadway premiere in 1964, but this is the first time the Yiddish-language adaptation has been performed in the U.S.
With the help of some "compassionate but strict coaching" from the National Yiddish Theatre Folksbiene in New York, Hoffman gradually learned her lines. Every bit of dialogue was written out phonetically in English and "we would do every. single. word. ..." Hoffman says. "It was just drilling, drilling, drilling, drilling, drilling." Hoffman had an ear for the language since she grew up around it, "but it was still surprisingly difficult," she says. "I was like, I thought I had this — I've been hearing this my whole life." A Yiddish version of Fiddler on the Roof has been playing to sold-out audiences since its U.S. premiere in July. Yiddish was the lingua franca for Eastern European Jews in the 19th century, explains Zalmen Mlotek, artistic director at the National Yiddish Theatre Folksbiene. But the original musical was written in English. "In the '60s when they wrote it, the feeling towards Yiddish and ethnicity was very different than it is today," Mlotek says. "Today we have a very much stronger desire to know our ethnic background." 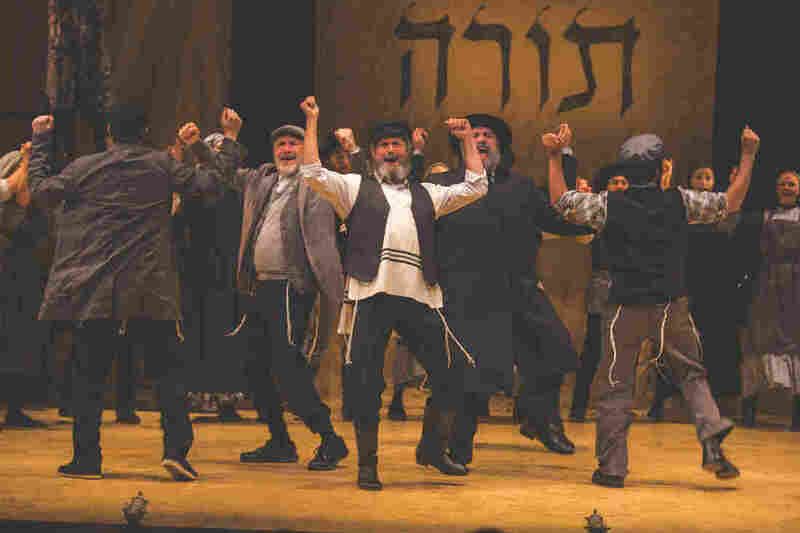 The Yiddish Theatre was well-positioned to produce this adaptation of the widely known musical. "We needed to [produce] it in a different way because people have seen it so many times," Mlotek says. "They've seen big Broadway productions — we couldn't possibly do a big Broadway production. That's why we went to [director] Joel Grey, who envisioned this small, yet intimate, yet deeply moving portrayal of the story." Audiences follow along with the help of supertitles — and even though it's a familiar story, it's hitting them in an emotional way. "People are so taken by the communication of the story and hearing it in this language," Mlotek says. There's also something about hearing this story — about persecution, family separation, the death of tradition — in this language, in this country, at this time. "Who would have thought that anti-Semitism would rear its ugly head in the way that it has?" says Mlotek. "I believe that there's a deep resonance as we tell this story that happened over 100 years ago." Gemma Watters and Martha Wexler produced and edited this story for broadcast. Beth Novey adapted it for the Web.